The weather is getting nicer and temperatures are rising, which in D.C. means one very exciting thing: the National Cherry Blossom Festival is just around the corner! For the Ohio Society of Washington, D.C. that means that we have the opportunity to participate in the National Conference of State Societies’ Cherry Blossom Princess Program. Since 1948, state and territorial societies, as well as the international embassy community, have selected accomplished young women for their academic achievement, exceptional poise and appearance, leadership, interest in social, civic, community and world affairs with a strong desire to serve others through community service, maturity and responsibility to represent their respective states as “Cherry Blossom Princess.” Over the course of a week, these young ladies have an opportunity to participate in National Cherry Blossom Festival activities, community service, and cultural exchange events. The week culminates in the selection of a Cherry Blossom Queen, who is invited by the Japan Cherry Blossom Association (JCBA) to visit Japan. The Ohio Society is proud to select Jasmine Wyatt as the 2016 Ohio Cherry Blossom Princess. Our participation in the Princess Program was generously sponsored by State and Federal Communications. 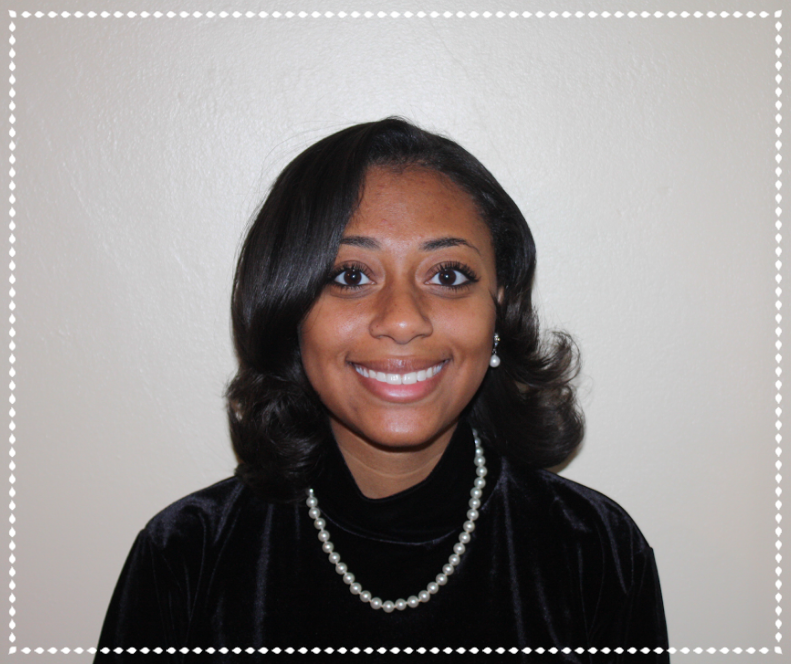 Jasmine is a 2011 graduate of St. Vincent-St. Mary High School in Akron and a 2015 graduate of Harvard University. She majored in government and minored in South Asian studies. She currently works as a Staff Assistant for Senator Richard Durbin (IL). Jasmine began her career in D.C. in 2010 as a Congressional Page. Since then, Jasmine has interned in the Akron mayor’s office, interned with the Department of State, and was the Franklin Williams Fellow-Women & Foreign Policy at the Council on Foreign Relations. If selected as the 2016 Cherry Blossom Queen, she would be an excellent representative of the greatest state in the union. She already has great international experience, including her time spent teaching English to children in local hospitals in Lima, Peru and study abroad at the School for International Training in Geneva, Switzerland. We invite you to come support her at the following Cherry Blossom Festival events. If you are interested in attending any of the events, and would like more information or would like to attend with other Ohioans please contact Jennifer Scheaffer at jscheaffer@gmail.com. The ceremony takes place at the newly dedicated Japanese Rock Garden and is put on by NCSS, in conjunction with the National Park Service National Capital Region. It includes traditional music by the Toho Koto Society of Washington, DC and songs by the Washington Japanese Choral Society. The Joint Armed Forces Color Guard of the Military District of Washington, DC presents the colors. Please join the National Conference of State Societies, our U.S. States and Territories, and International Partners for an evening featuring food and drink from around the country. Cost: $40 per person. Please note that a nominal service fee will be applied to all tickets at the time of purchase. Attire: Gentlemen are required to wear a coat and tie. Ladies attire should be of a comparable degree of formality. Please join the National Conference of State Societies and our Honorary Co-Chairs, Senator Lisa Murkowski and Senator Shelley Moore Capito, for the annual Cherry Blossom Congressional Reception in one of the oldest botanic gardens in North America. Cost: Free – Reservations Required. You are cordially invited to join top officials and diplomatic leaders for one of our nation’s most beloved spring traditions – the Official Cherry Blossom Grand Ball and Sushi Reception presented by the National Conference of State Societies (NCSS). Enjoy a fabulous cocktail and sushi reception prior to dinner, a plated multi-course meal with dessert, an exciting program that includes many special guests along with the introduction of the 2016 Cherry Blossom Princesses and the official coronation of the new United States Cherry Blossom Queen, a silent auction, and dancing to the sounds of a live band and DJ. This is an event not to be missed! Cost: $75 (Youth Ticket for Ages 12 and Under) / $150 (Pearl Level Ticket) / $200 (Gold Level Ticket). Tables are also available for purchase. Please note that a nominal service fee will be applied to all tickets at the time of purchase. One of DC’s largest spectator events, the energy-filled National Cherry Blossom Festival Parade® presented by Events DC runs for 10 blocks along iconic Constitution Avenue. Giant colorful helium balloons, elaborate floats, marching bands from across the country, celebrity entertainers, and performers burst down the Parade route in a grand spectacle of music and showmanship seen only once a year during the Festival. From the National Archives to the Washington Monument, spectators are wow-ed by the pageantry and excitement that is the nation’s premier springtime parade. Can’t make it to the Parade? Make sure to catch the Washington, DC-area local broadcast on Saturday, April 16 from Noon – 2 PM; station and airing information coming soon. Parade lovers from across the country can watch the one-hour Parade, syndicated nationally in the weeks following the Parade. See National Syndication information below for airing dates and times. The Sakura Matsuri—Japanese Street Festival, the largest one-day celebration of Japanese culture in the U.S., returns to the streets of D.C. on Saturday, April 16, from 10:30 a.m. to 6 p.m. Held the same day as the Parade, this rain-or-shine event brings vibrant performances to four stages showcasing 30 cumulative hours of programming. The daylong cultural celebration, presented by the Japan-America Society of Washington DC, enjoys a new location for 2016 in the Capitol Riverfront neighborhood—at M Street and New Jersey Avenue SE, across the street from the Navy Yard-Ballpark Metro station. Sakura Matsuri welcomes more than 80 cultural groups, arts vendors and food booths to our celebration.